The American College of Greece | Third International Scholars’ Symposium in Ancient Olympia: A Unique Opportunity for Students. Home » News & Events » News » Third International Scholars’ Symposium in Ancient Olympia: A Unique Opportunity for Students. Third International Scholars’ Symposium in Ancient Olympia: A Unique Opportunity for Students. Senior and graduate students of DEREE – The American College of Greece are offered the unique opportunity to attend the Third International Scholar's Symposium that will take place on July 9-12, 2014, in Ancient Olympia. The Symposium, organized by The International Olympic Academy in cooperation with Harvard's Center for Hellenic Studies, will focus on "Sports, Society and Culture: Revisiting the Past, Understanding the Present" and will be based on innovative educational methods, such as blended learning and student workshops. 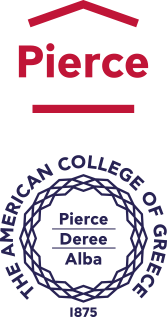 DEREE –The American College of Greece has been selected to participate in the Symposium, along with 28 departments of Greek universities. Students who attend the non-fee-based event will experience the challenge of discussing the relationship between the past and the present with world renowned members of the academic community, in one of the most emblematic archaeological sites. To find out more about the Symposium, please click here. or download the PDF file of the announcement.